By the end of this 15 minute read you will hopefully have a comprehensive overview of resource management. There are tips from industry specialists and best practices from various companies like Google and Ford. We encourage you to dig deeper into every topic. Reach the Resource Guru status to squeeze the maximum out of your valuable resources. THE MOST COMMON definition says that resource management is the efficient and effective development of an organisation’s resources to achieve the maximum utilisation of all resources. Such resources may include finances, inventory, human skills, production materials and equipment, or information technology. The modern concept of resource management draws our attention to people as the greatest resource any company has. At least for now when AI and robots have not yet taken over the world as some researchers are predicting. Today we will focus on how to successfully recruit, develop and motivate your greatest assets – your people. Only since the 1980s the term “personnel management” has slowly been replaced with “human resource management” emphasising the importance of people as a valuable resource, which needs a strategic and long-term approach. Human resource management is no longer defined as a task list on the table of a HR (human resources) specialist. In the pursuit of even higher emphasis on people relations, companies have started to rebrand the whole HR department, giving titles as Chief Happiness Officer and Talent Resources. For a lot of thought leaders, including Doug Devlin, the most accurate contemporary term is “people operations”. Keep in mind that changing the name does not automatically change the way we operate. Still, it should represent a switch in our mindsets and a decision to improve our processes. Here are 23 practical tips that will change the way you think about your resources! The first and foremost principle to adapt is a simple fact that your employees, colleagues and partners are the most valuable resource a company has. Ultimately, business is done between people and is built on human connection. Deloitte research also proves this logic to be true: “high-performing companies spend 1.5 to 2 times more on recruiting and developing top candidates than other companies – and accomplish results that are three to four times higher than their competitors.” Investing in quality recruitment results in valuable talent, develops business relationships, and helps to maintain a high level of competitiveness and growth. Keep your knowledge updated. As said, the ever-changing digital world is keeping us alert. Read, iterate, analyse, and read more. For example, Harvard Business Review and Society for Human Resources Management are great resources to keep an eye on. Book suggestion: insight into Google’s philosophy and strategies from the Laszlo Bock manifesto “Work Rules!”, which has the potential to change your views on how we work and live. HR is an executive position. Treating HR as a separate part of everyday operations and executive decisions is an unnecessary risk you shouldn’t be taking. Sarah O’Neill, the Director of HR at Digital Trends, lists four reasons why HR should have a seat at your management table: compliance, alignment, communication and growth. Even more so, human resource management should have all the seats at the table, meaning all executives act on the acknowledgement that their greatest resources are the people. A simplified recruitment process can be described as advertising a vacant job position, inviting candidates with most outstanding resumes to an interview and then selecting the seemingly most suitable person for the role. If you still recruit on this level of simplicity, you should probably think about updating your strategy. According to LinkedIn’s Global Recruiting Trends 2017, next year, the highest demand will be in sales, operations, engineering and IT occupations. 57% of recruiting teams find intense talent competition the top challenge they are confronting. Another astonishing fact is that 89% of Glassdoor users are either actively looking for jobs or would consider better opportunities. 3) Candidate is king The time of employers making all the demands is long gone. Even saying that recruitment happens on both sides (employee-employer), seems naive. 90% of recruiters say the market is candidate-driven in 2015, up from 54% in the second half of 2011. Keep in mind that companies do not have a superior position in the recruitment process. Not that the population has drastically decreased, but people are also struggling on a personal level to keep up with the rapidly evolving environment. Those few percent of candidates who are doing very well usually have multiple companies fighting for them. 4) Digital presence is a must-have. Your candidates are surfing online, using social media channels and communities, reading online news, and networking in LinkedIn. Glass-door survey claims that 79% of candidates are likely to use social media in their job search. Are you there to meet them? A Jobvite research found that already in 2010, 80% of specialists used social media as a recruitment channel. LinkedIn was used by 95% of the sample, Facebook by 59% and Twitter by 42%. Nowadays you can add Instagram, Youtube, Snapchat and eye-catching banner ads to the list. Laszlo Bock from Google believes that finding the right people will be even easier in the future thanks to technology, social media, and of course, AI. This should give you a good hint which content to share in your digital channels. 6) Experience, attitude, competence and cultural fit – which is more important?There is no right answer for this one. Some leaders are praising the importance of cultural fit, some value attitude most of all. It makes sense in a way that these factors can not be taught or modified to fit the company’s needs. Having an extensive resume and proven competence never hurt a candidate, especially for an executive role, but potential talent can surpass it. In the end, it is easy to say that it all depends on the case and you should put all four aspects into the equation. To make it easier try answering this question: Which candidate has more potential to exceed your expectations in the long run? 7) Include the whole team. 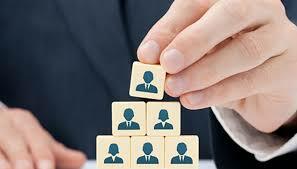 The role of HR is leading the recruitment process and conducting the first screening. Future colleagues and executives participate in interviews and make the final decision based on previously agreed upon criteria. On the other hand, stay modest – you do not have to “impress” by dragging 20 people to the process. Paul Slezak, a recruitment expert, suggests to include as many people needed and as few as possible. More than 3 panel interviews indicate inefficiency. ’Meet and greet’ with the team is different – future colleagues meet the candidate briefly in the final rounds to confirm their fit within the team. You have selected the best candidate with a proven track record and great attitude, but do not make the mistake of giving them “space to settle in”. Overwhelming them with information can be bad, but it is even worse to leave them with no tools or instructions. A study of 264 new employees published in the Academy of Management Journal found that the first 90 days are crucial to building rapport with the company, management and team members. When the new team member was supported and guided by the team and leaders, they often had more positive attitudes about their job and worked harder. When attention and direction were not offered, the results were remarkably inverse, leading to lower levels of job satisfaction and productivity. According to Gary Dessler, author of well-known human resource management (HRM) books, the onboarding program has four main steps: adapting to the new environment, getting role-related information and instructions, having a comprehensive company overview and finally socialising, finding a connection with the organisational culture and values. 8) Onboarding is not the same as training. While a lot of companies are aware of the importance of onboarding and training, not many are aware of how important it is to have both. It is a very common misconception that onboarding is the same as training. Showing gratitude, doing check-ins and making people feel as if their contributions matter are great and simple ways to ensure your new hires feel visible and accountable. 9) Give clear guidelines. While this may seem too obvious and you might be sure about the simplicity of your instructions, the number one request from employees is to get clearer guidelines – organised, relevant and well-timed content. So, you might want to think twice: Are you still so sure that the new hires are on the same page with you? Do they fully understand their responsibilities and tasks? Did you explain your goals and ask their expectations? 10) Online onboarding. Take advantage of the digital era and upload all the information to your company’s intranet or online database. Just make sure to explain how the system is organised and where to find needed documentation. The simple explanation is still more time-efficient than presenting all the information in person. You can also take a step further and use work management software, which helps you automate, track and manage the process. It might help with the challenge of giving clearer guidelines ? 11) Take special notice of software and tools. There are so many apps, tools and software solutions available. You’d be surprised to learn how many business tools popular companies use. According to Siftery, Uber uses 141 tools, Facebook 175 tools, and Apple 169 tools. So, whether your company uses 5 or 50 different tools, make sure you do not overlook teaching your new employees how your company uses them. Tools should make our work easier, not the opposite. 12) Include the whole team. Same as recruiting applies for onboarding – the new hire should be welcomed by the whole company, especially by their team and leader. 56% of new hires say having a buddy or mentor is important to them when starting a new job. Do not make the mistake of leaving the new person only into the hands of the HR department. Although HR and other team members come in second, 33% of people want their managers to take charge onboarding them. You have hired a “top gun”, who is ready to take over the world – or a potential talent who is hopefully going to skyrocket their results with the proper guidance. What you might not realise, is there is no such thing as a “top gun” vs. potential talent anymore. We all need to improve ourselves constantly to keep pace with the ever-changing digital world. Also, providing development opportunities is seen as an incentive, which can sometimes be even more important than good salary. Talented people naturally want to advance and appreciate the support from their employer. 13) Development is more than role-specific training. Michael Armstrong, the author of several best-selling HRM books, describes various studies conducted from 1996 until 2008, which prove that having a thorough and quite strict training program improves the efficiency of each employee by 6% in average. While this can still be true, employee development consists of much more than on-boarding and on-the-job training. Unfortunately, these are too often the highlights of the development program, with the occasional attendance of an industry-specific conference. While job-related skills and technical knowledge are important, softer skills are also gaining importance. Project management, communication, teamwork, adaptability are just a few examples needed in today’s working environment. 14) The challenge of personalised development. Recent studies and opinions of industry leaders claim that it is no longer possible to standardise personnel development. You should have a system in place, but it has to be flexible, personalised and constantly evolving. The challenge is to plan ahead and develop skills needed in the future, not to just keep your competencies up-to-date. A personal development plan should provide a roadmap for the employee that includes measurable goals and a realistic timeframe for achieving each goal. Take an example from Ford – they have developed an HR technology platform that will provide insights into their 60,000 plus global workforce. This enables to improve long-term planning and adaption to the changing global environment. Kavi Guppta, a Forbes Contributor, predicts that companies will start implementing the role of Director of Learning, whose main focus will be the ongoing learning and personalised development of every employee. As technology and processes will change, and more importantly, customers will change, companies need to be dynamic. 15) Development starts from values and organisational culture. Whether you are active or passive, or even ignorant, organisational culture is your company’s unique identity that is essential for competitive edge and sustainability. It is a system of shared values, beliefs and principles, which describe and steer the way things are done in a company. If the culture does not support the mentality of development and personal growth, the well-thought-out training system is worthless. Inversely, in an environment where learning is celebrated, people will take the initiative to find learning opportunities most suitable for them. 16) In-house learning. Continuous improvement requires a commitment to learning: creating a company-wide structure for information processing and knowledge sharing. In-house learning consists of collecting, storing and actively using data from previous experiences, experiments and researches. It also includes peer-to-peer knowledge transferral in the form of coaching, mentoring, rotation, workshops and using an online learning centre. Laszlo Bock suggests implementing social learning, which is fairly easy and cost-effective. You have recruited great people – let them teach each other. Google has developed a series of workshops called Googler2Googler. The topics are very diverse: from public speaking to programming for dummies. Did you know that happy employees are 12% more productive while being unhappy is proved to lower productivity by 10%? Inverse to the conventional opinion – research suggests that more money can make employees more satisfied with their jobs, but not as much as other factors in the workplace. How to make your employees happy? 17) A complete incentive program. In addition to competitive salary, attracting and retaining talent requires a complete and well-thought-out incentive program. The offering of bonuses, health and convenience benefits, development and career opportunities, work-life balance and other perks has increased nearly one-third in the last year. The top reason being the need to remain competitive in the talent marketplace. While the costs may have a growing trend, employees are starting to value non-monetary incentives even more. So the good news is – keeping the office fridge stocked or giving your team the flexibility to work from home can bring more satisfaction than money could. 18) The value of achievements and experiences. Research among Googlers demonstrated that employees were 28% more satisfied receiving gifts, bonus trips and experiential rewards than monetary incentives. Receiving a bonus holiday for a job well done is much more memorable than the extra money, don’t you agree? Yet, 76% of people do not feel their work is appreciated enough. Employees have listed recognition and the clarity of instructions as top factors which would improve their performance. So, forget drafting up lists of benefits and perks, if you still haven’t used the simple (and free!) phrase of “well done”. 19) Meaningful and important missions. Finding meaning is one of the great existential questions of life. According to Deloitte research, meaningful work is one of the three employee engagement drivers. How does one find meaning in work? This is a very personal and individual subject, which is quite hard to be managed from the company side. Organisations can only encourage this by creating a culture, which brings employees personal values and work life together. Cultivating a culture of ethics and moral is especially crucial when recruiting Millennials. An Accenture survey of recent college graduates found that 92% of the sample wanted to work for a socially responsible company. While you probably will not put up a sign saying “we are saving the human kind” – you could explain how and why is your company creating value to customers and society. 20) Make decisions based on statistics and data. HR tends to have a stereotype of being quite a qualitative and subjective field. Laszlo Bock has justifiably learned to demand data-based decisions everywhere. People management decisions at Google are guided by the “people analytics team”. Bock wants to bring the same standard of data-based decision-making to HR as they have in engineering. Although, in most cases, this level of detail is not necessarily needed nor very practical. According to Peter Cappelli, it is easy to get carried away by trying to implement “big data” in every department possible. Using effective software and having a data-driven mindset will do the trick. People operations processes – recruitment, onboarding, development, evaluation and feedback. Some examples: Clanbeat makes 1-on-1s more efficient; TinyPulse wants you to improve your culture; and BambooHR lets you keep all your employee information in one place. Remember to differentiate HR-related functions from work management and daily operations. Tracking time, tasks and projects. Some examples: Trello is an easy task board for teams; numerous project management tools include Asana for smaller and Wrike for larger companies. If you manage people or projects on a daily basis, see our list of 48 project management tools you can use. Keeping order in your documents and materials. Some examples: most common are Google Drive for sharing documents and spreadsheets; and Dropbox for sharing images and files. Some examples: Pipedrive is for small teams with big dreams; larger companies praise SalesForce. We have done an overview of 27 best CRM software and 19 best invoicing tools. Reporting and analytics should be integrated into every tool or software you are using. The challenge is to collect all the data from different sources. Using dashboards makes it easier. Read more about 23 dashboard solutions we think are best. As you can see, there are an overwhelming number of software and tools available.The important question – is your current software actually helping you be more productive? Do you have a good overview of all your resources – people, time, office space, documents and other materials? If you are using too many tools, it might start killing your productivity.